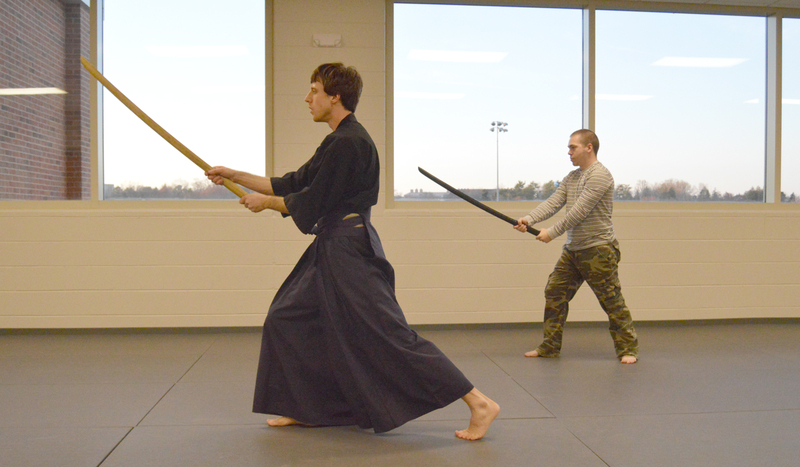 If you are looking for something to do that will keep you both active and entertained, I would suggest you walk down to the ETSU Basler Center for Physical Activity and look into the samurai swordsmanship class. Every Sunday evening from 6 p.m. to 7:30 p.m., the CPA holds a samurai swordsmanship class that teaches students about the art of wielding a samurai sword. Many students have already joined the class and have participated for weeks. Each student has a different motive, and sometimes the simplest ones. “I really like weaponry and it sounded cool,” said freshman Tyra Marek. Marek said the course is also very meditative and has helped her work through things mentally through exercise. The type of swordsmanship that is taught in this course is called Iaido. 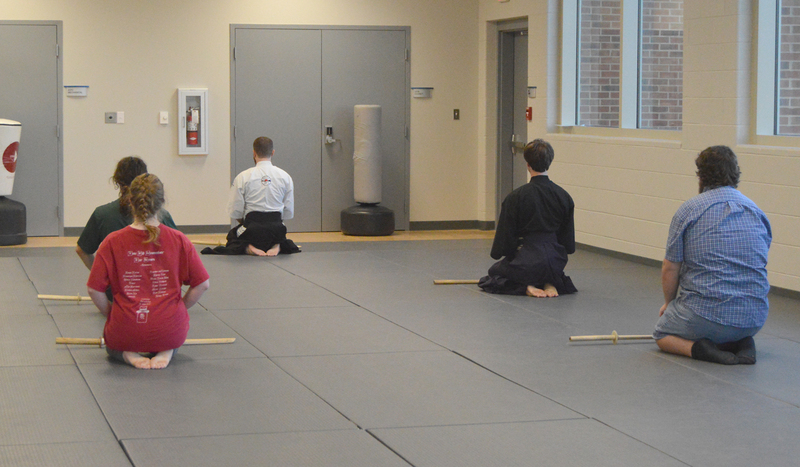 Iaido means “the way of the draw,” so the students spend a majority of time working on their draw work. The class also incorporates styles like Kendo, which is “short form stuff, so it’s like flicking the sword,” Marek said. Jared Sapp is an ETSU graduate and a senpai in the swordsmanship course. Senpai is an older level student who studies under the sensei. After Gideon was promoted to a third-level black belt, he decided to start his own school, or dojo, at ETSU. One of Gideon’s students, Zack James, decided to continue the course, and after he left, Sapp kept the course going. Sapp also said some of the specific things the course focuses on is a set pattern of movements called Kata. “This helps the swordsman develop a sort of second nature when fighting,” Sapp said. Sapp enjoys teaching the application of the sword as well as the historical aspect of the art of samurai swordsmanship. The premise of this class is admirable. Although I have never had a cause to wield a samurai sword before, I couldn’t help but feel intrigued by the subject of this class and how it might apply to everyday life.